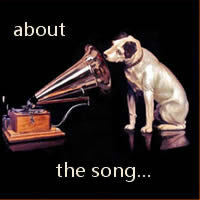 And The Band Played Waltzing Matilda was written in 1971 by Eric Bogle - a Scottish born singer/songwriter. 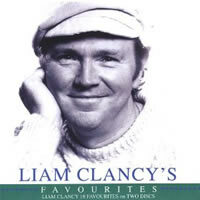 Our featured artist is Liam Clancy with a cover of the song from the album Favourites 1 & 2. 3/4 Time: This means 3 quarter-note/crotchet beats per bar, therefore the count is | 1 2 3 |, or |1& 2& 3& | etc. Liam uses a a capo on the 2nd fret and plays in the key of G Major. He may have done this to avoid the F#m as a barre chord... when you are fingerpicking, it is always preferable to play open chords as they tend to sound a lot crisper and cleaner. For Capo users, Dadd9 or DaddE poses an interesting situation depending on how you play it. If you play the chord x00230 where the second finger exposes the open E (1st string), it is actually a Dsus2 chord as we are giving up the F# (first string) and replacing it with E, therefore the chord reads D - E - A (formula: 1 - 2 - 5 ) which is Dsus2. If on the other hand we play it as x02232, we leave the D chord intact while adding E on the 4th string, 2nd fret - DaddE... both chords sound fine, so you can play either one. The reason Eadd9 or EaddF# is not Esus2, is because we still retain the G# and simply add an F#. The formula for a major chord (1 - 3 - 5) is still intact with an added F#... E - G# - B - F#. You don't have to play all the chord extensions such as Asus4, Dsus2, Eadd9 etc. They are there for color and interest. Liam plays the chords without extensions, while the other guitarist adds extensions and other welcome extras. I have tried to combine the two as simply as possible without causing too much confusion. Try some things for yourself... you may be pleasantly surprised. Wherever you see the simile mark or repeat sign / you repeat the previous chord within the bar, therefore | A / Asus4 | means you strum the A chord for 2 beats and the Asus4 chord for 1 beat. Remember each bar has 3 beats. The same applies for | D / Dsus2 | - strum D for 2 beats and Dsus2 for 1 beat. 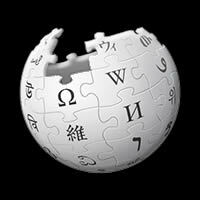 Born: William Clancy on 2nd September 1935 in Carrick-on-Suir, County Tipperary, Ireland. The Clancy Brothers recorded about 50 albums and sold millions of albums worldwide. They played to concerts in some of the world's best venues including, The Royal Albert Hall in London and Carnegie Hall in New York. Liam's active years spanned decades, from 1955 - 2009. He was the group’s most dominant singer and was generally regarded as the best Ballad singer ever. Liam was the lead vocalist in the band and also played guitar and concertina. 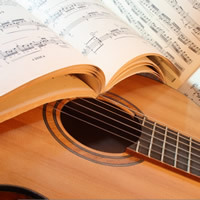 ERIC BOGLE chords and lyrics are property and copyright of their owners. "And The Band Played Waltzing Matilda" chords and lyrics are provided for educational purposes and personal use only.